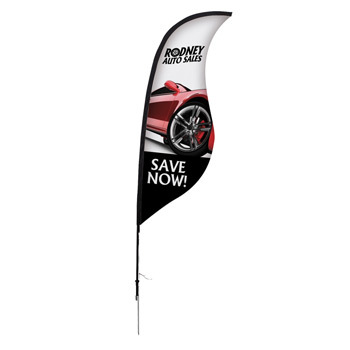 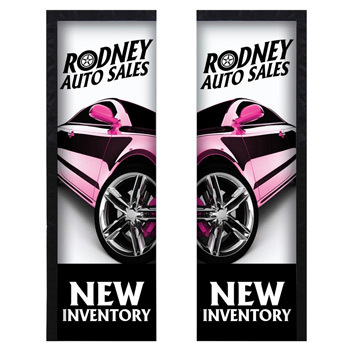 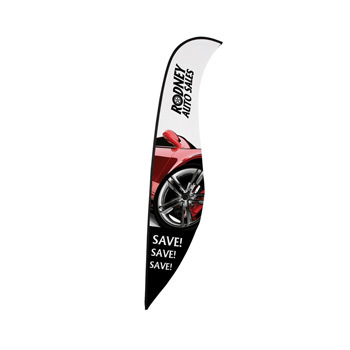 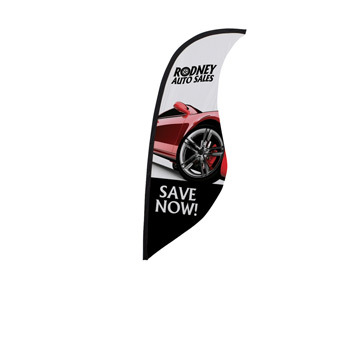 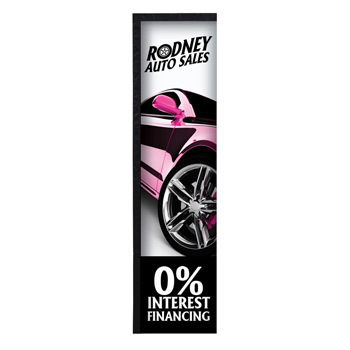 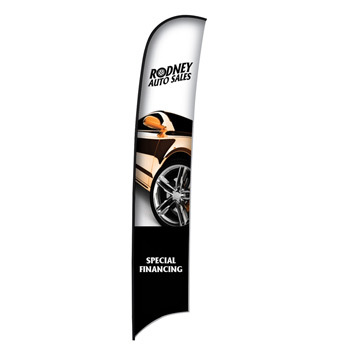 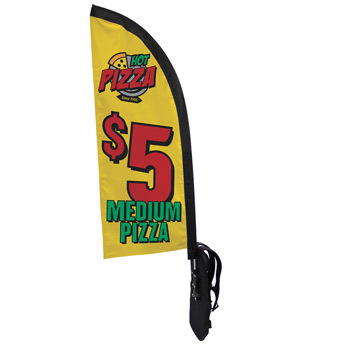 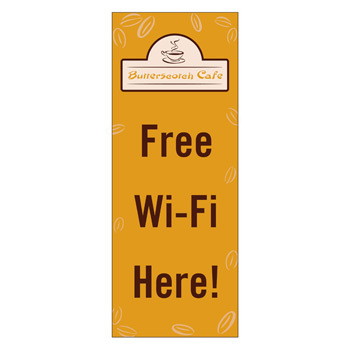 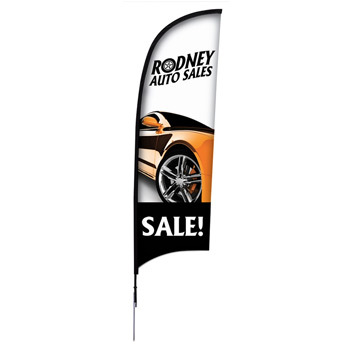 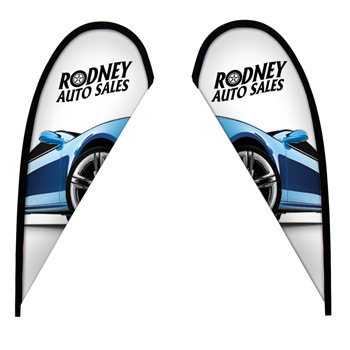 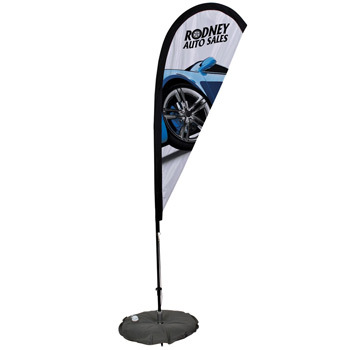 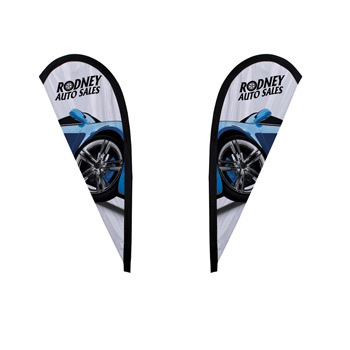 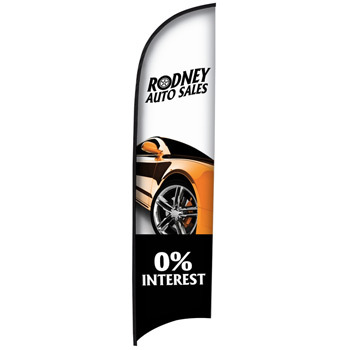 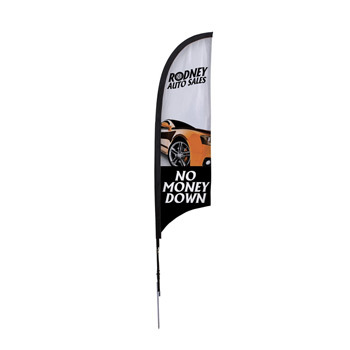 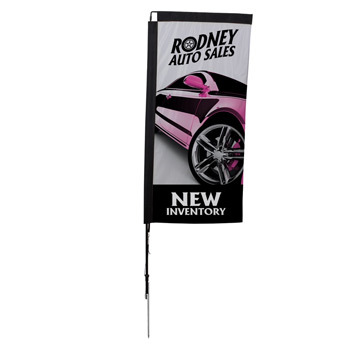 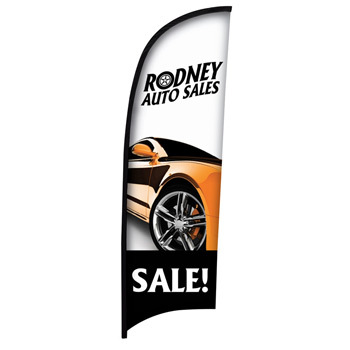 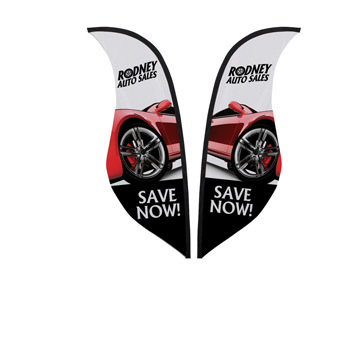 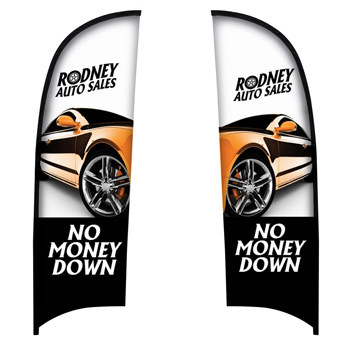 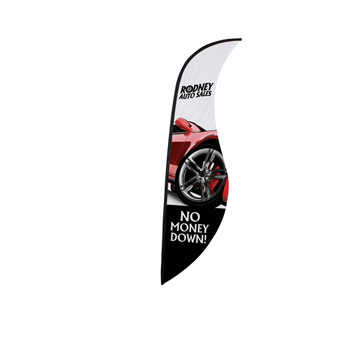 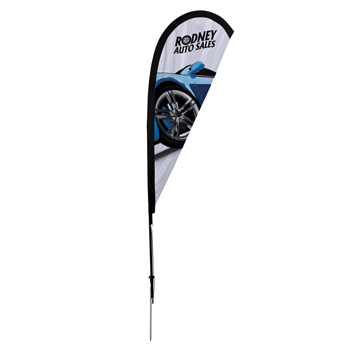 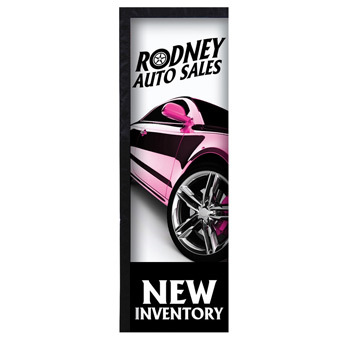 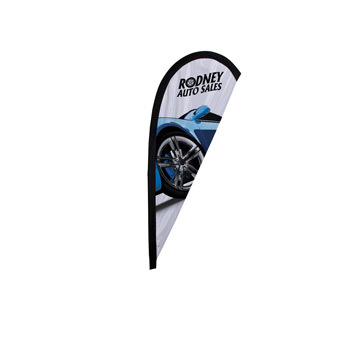 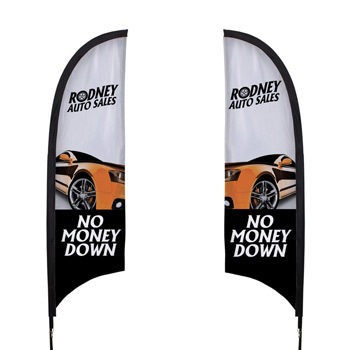 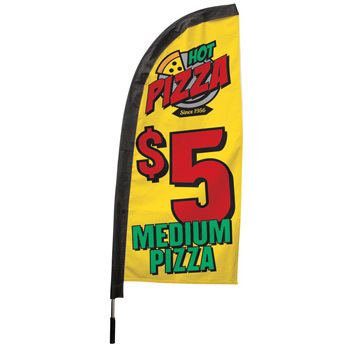 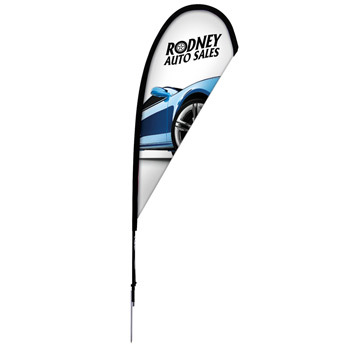 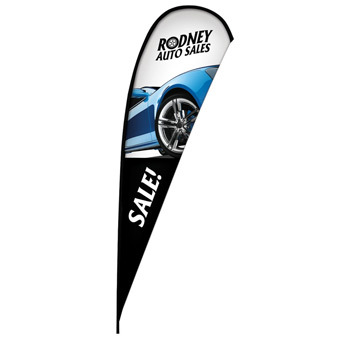 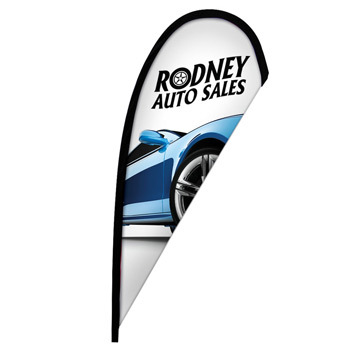 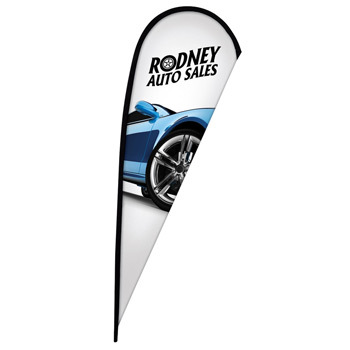 You see display flags every day on your drive to work touting a sale or special event in front of businesses but custom printed display flags are also an attention-getter at tradeshows. 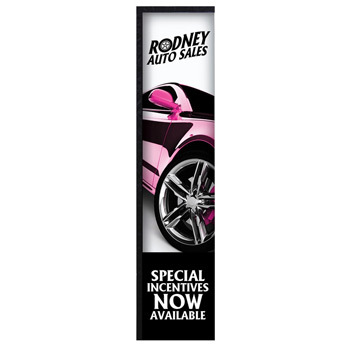 These tall displays are seen from far away without taking up too much space in your booth. 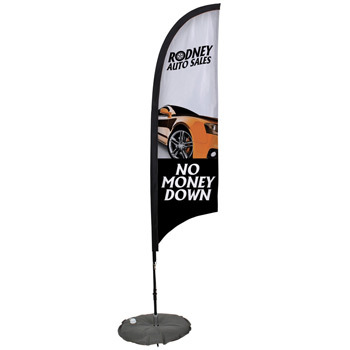 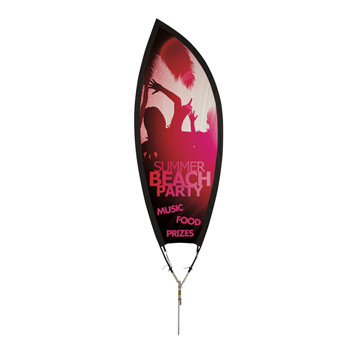 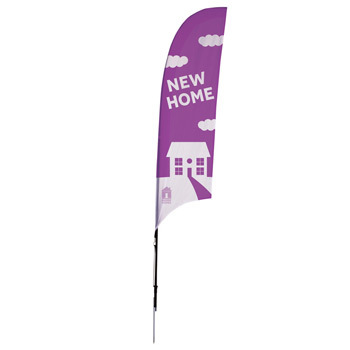 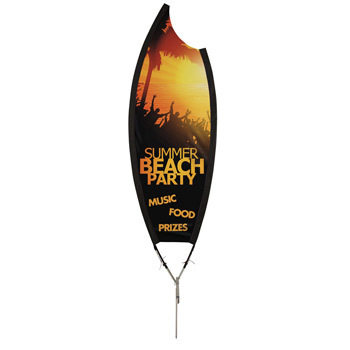 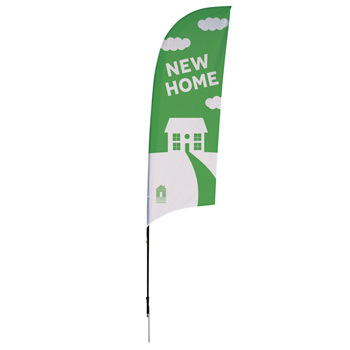 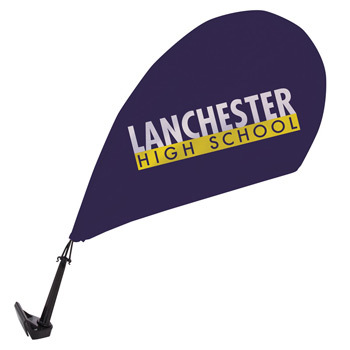 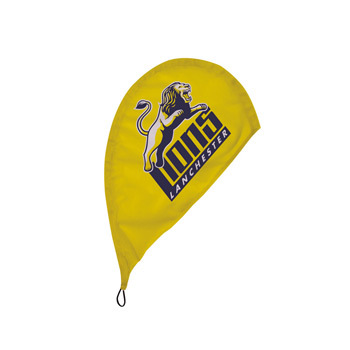 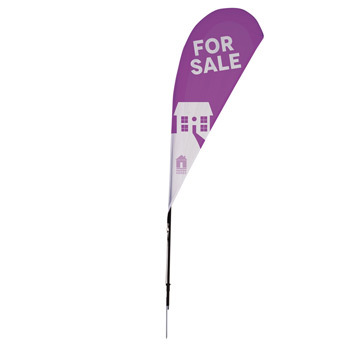 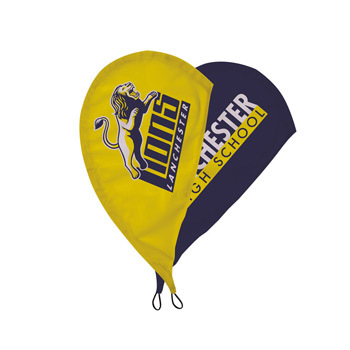 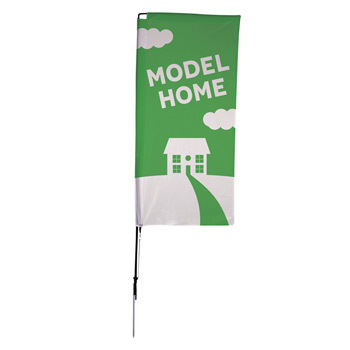 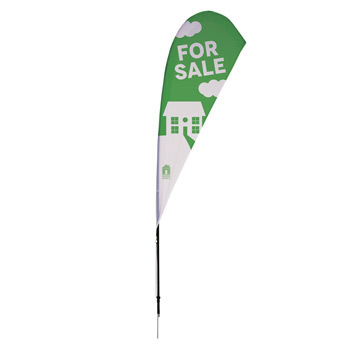 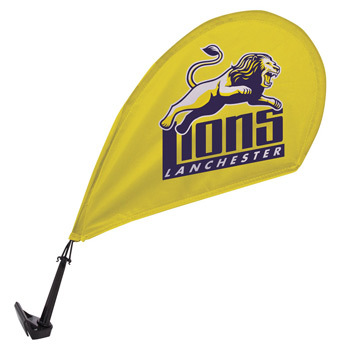 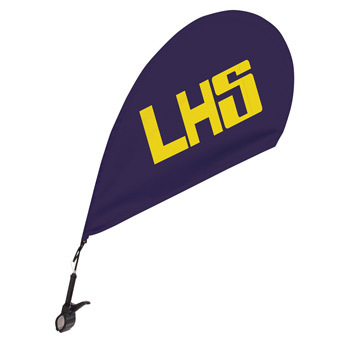 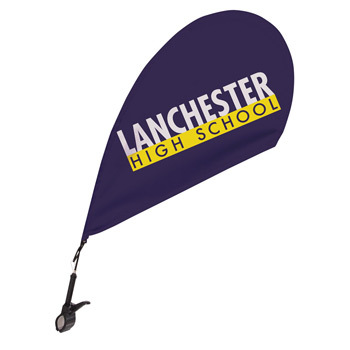 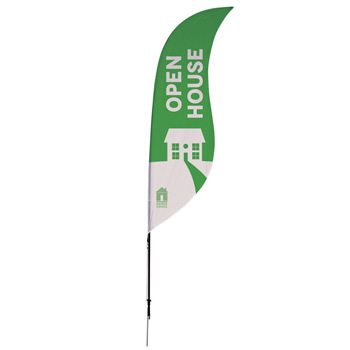 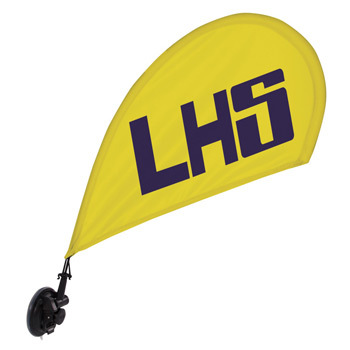 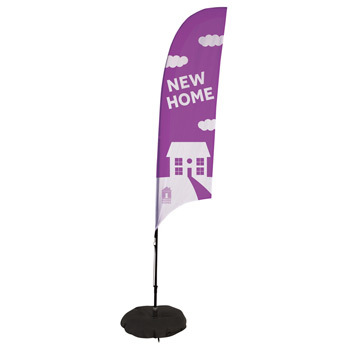 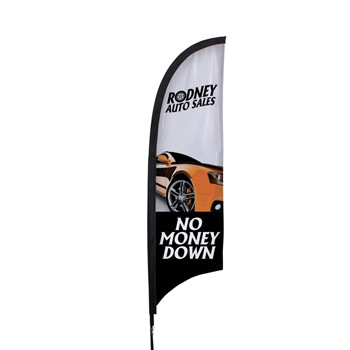 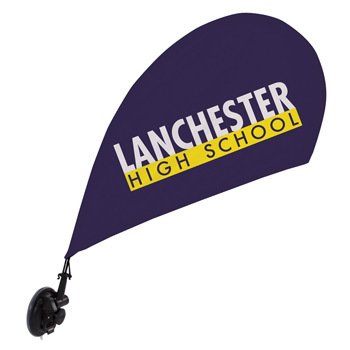 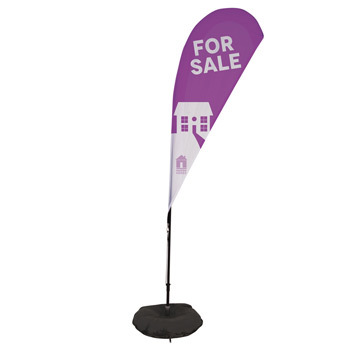 Our display flags come in many shapes like feather, sail or teardrop that can be used inside or outside.